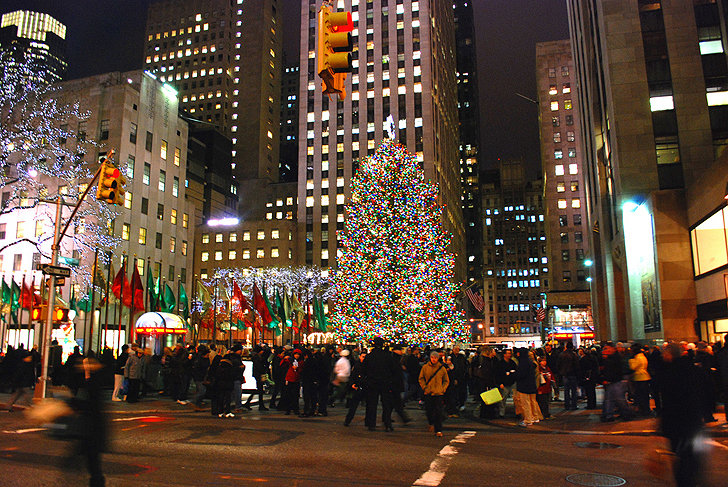 This year's <a href="http://www.rockefellercenter.com/events/2012/11/28/2012-rockefeller-center-tree-lighting/">Rockefeller Center Christmas Tree lighting ceremony</a>, which took place last night, was brighter and greener than ever. 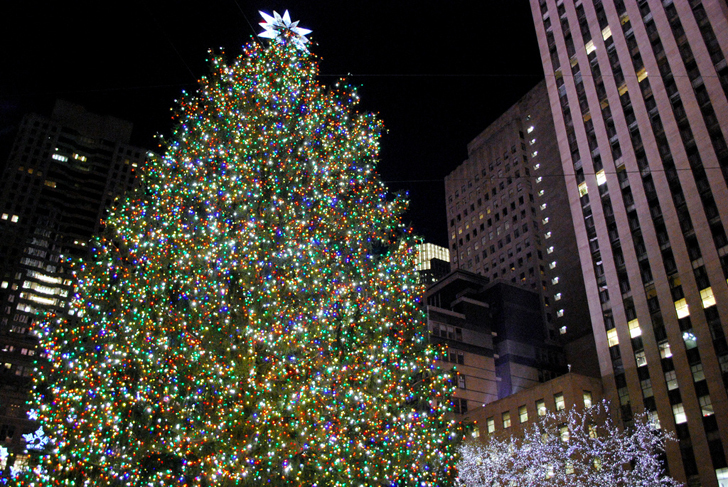 Just before 9pm, <a href="https://inhabitat.com/tag/Mayor-Bloomberg/">Mayor Michael Bloomberg</a> flipped a switch to illuminate the tree with 45,000 dazzling, multi-colored <a href="https://inhabitat.com/scientists-find-way-to-turn-led-lights-into-wireless-internet-source/">LED lights</a> and a 9.5-foot-wide Swarovski crystal star. This year’s tree was a 76-foot Norway Spruce hailing from Shelton, Connecticut. The approximately <a href="https://inhabitat.com/cloning-project-could-save-britains-oldest-and-best-trees-from-annihilation/">75-year-old tree</a> made its 70-mile trip to New York City over the last month. 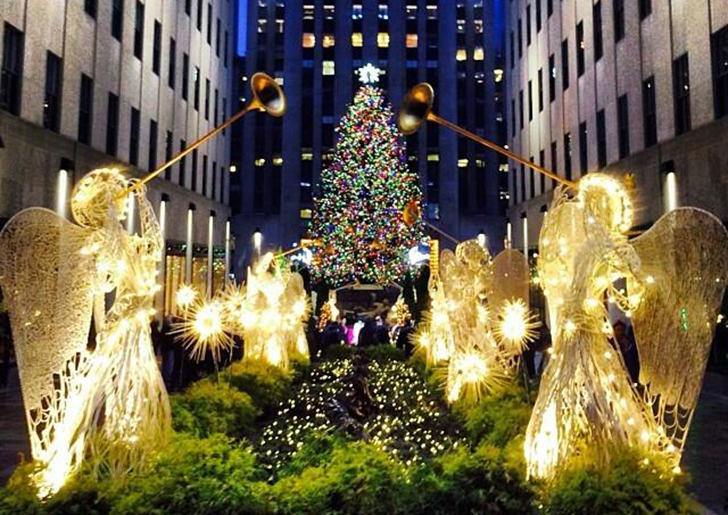 The <a href="https://inhabitat.com/how-to-green-your-holidays-with-eco-friendly-christmas-decor/">festively adorned tree</a> will be on show at Rockefeller until January 7, after which the tree will be milled into lumber for <a href="https://inhabitat.com/tag/habitat-for-humanity/">Habitat for Humanity</a> built homes. 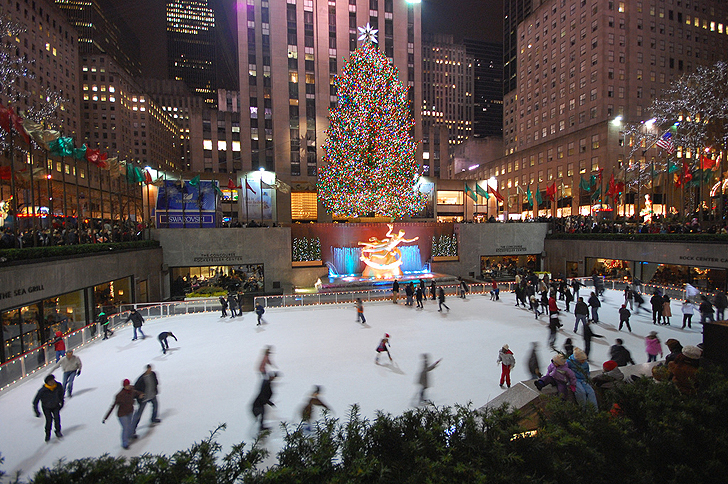 This year’s tree lighting marks the <a href="http://www.nbc.com/christmas-in-rockefeller-center/">81st annual tree-lighting ceremony</a> since Rockefeller Center officially started its tree-lighting ceremony in the early 1930s. 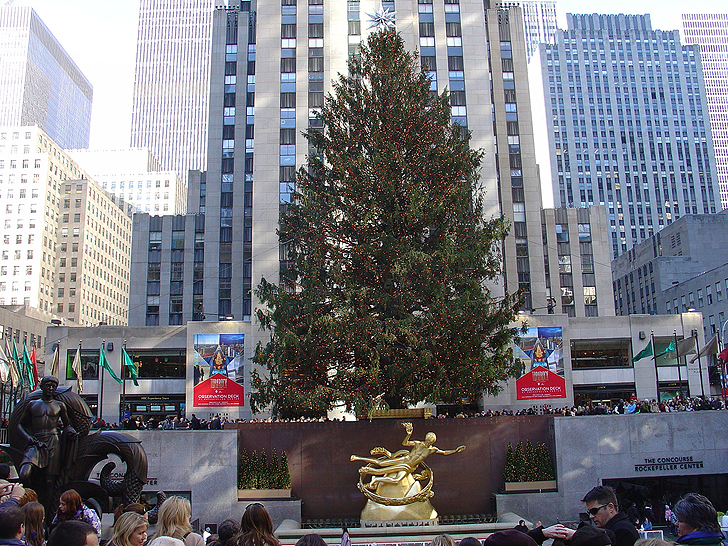 Compared to <a href="https://inhabitat.com/nyc/this-years-rockefeller-center-christmas-tree-is-locally-sourced-from-new-jersey-and-lit-with-led-lights/">last year’s tree</a>, the Norway Spruce shipped from our farther neighboring state of Connecticut. 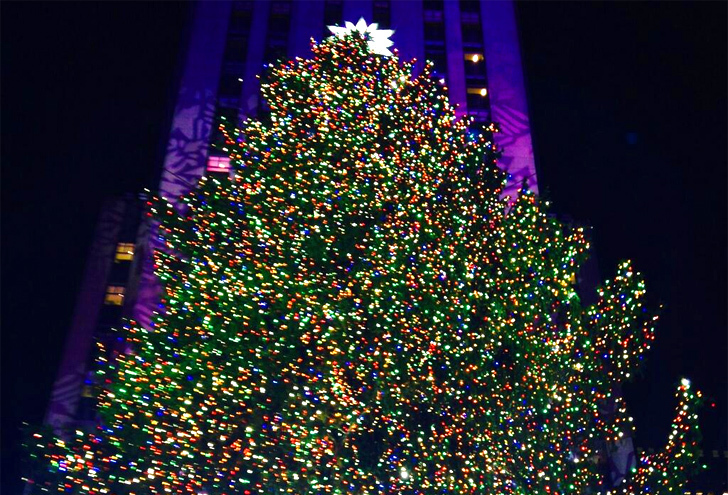 Spectators and general tourists will be able to see this year’s tree all lit up everyday from 5:30 a.m. 11:30 p.m. On Christmas day the tree will be on all day long for a full 24 hours. 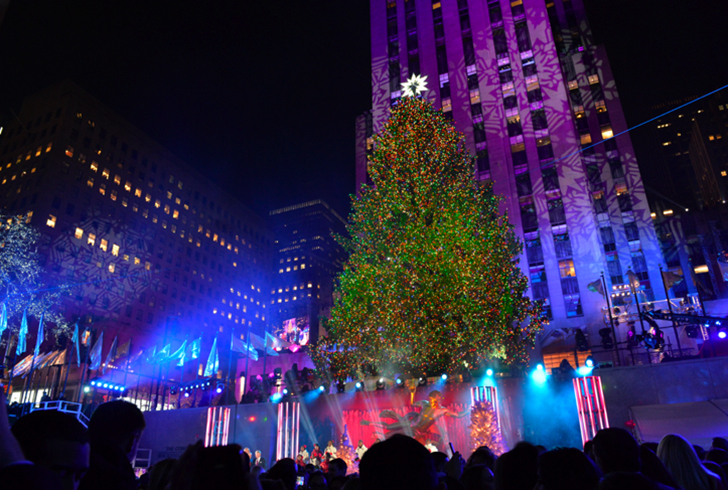 This year's Rockefeller Center Christmas Tree lighting ceremony, which took place last night, was brighter and greener than ever. Just before 9pm, Mayor Michael Bloomberg flipped a switch to illuminate the tree with 45,000 dazzling, multi-colored LED lights and a 9.5-foot-wide Swarovski crystal star.